The Caloundra Chamber of Commerce will today announce they will be progressing with the installation of the $140,000 Federal Government funded Caloundra CCTV security system in the Caloundra business precinct. With the project stalled at a Sunshine Coast Council meeting in March this year, the Chamber has committed to implement the security system in collaboration with the Federal and State Government, Caloundra Police Service and private property owners to bolster security in Caloundra. President of the Caloundra Chamber of Commerce, Michael Shadforth says that despite the project’s difficulties thus far the Chamber is determined to have the closed-circuit television system in place and operational before Christmas. “Together with Andrew Wallace, Mark McArdle and the Caloundra Police we have found a solution to CCTV that is able to be managed and maintained by the Chamber which is far superior to all other possibilities that we pursued,” Michael Shadforth said. “The Caloundra Chamber of Commerce wants to see the Caloundra CBD as the face of Caloundra that locals and tourists of all ages enjoy. “The collaboration between retailers, Caloundra Police Service, property owners and our Federal Member for Fisher in getting this job done has showcased what a unique and amazing sense of community that Caloundra has. Pivotal in the project’s implementation, Federal Member for Fisher Andrew Wallace has commended the Caloundra Chamber of Commerce on their hard work and commitment to public safety in Caloundra. “Everyone on the Sunshine Coast has a right to feel safe and secure as they move around our community,” Andrew Wallace said. 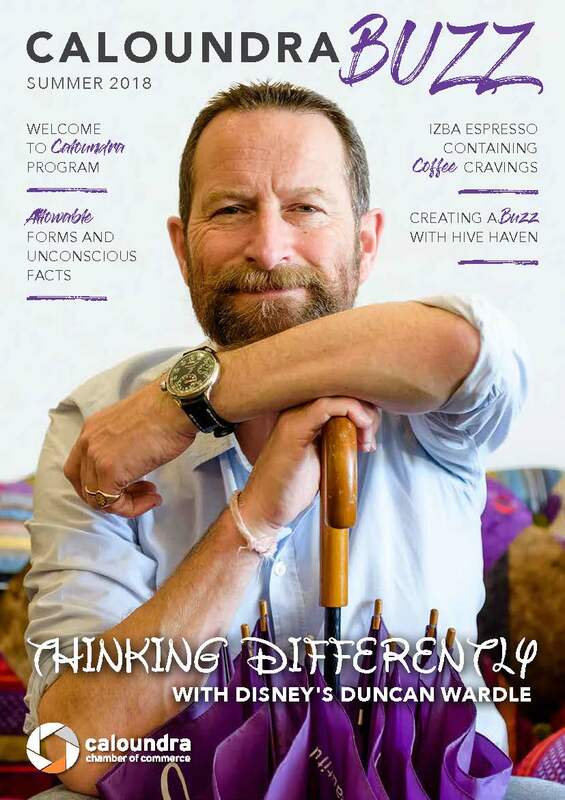 “It has taken a great deal of hard work from the Caloundra Chamber to get this project off the ground in difficult circumstances and they should be very proud of their achievement on behalf of Caloundra locals. While just eight devices were costed by Council earlier in the year, the Caloundra Chamber have managed to secure over 20 camera units which will include Panoramic 180-degree cameras and a total of 33 imaging devices. The system will incorporate ‘state of the art’ licence plate recognition technology which instantly alerts police via text of any blacklisted registration number plates. As Caloundra has a significant problem with criminals driving into the area from the South this AMPR technology will enable law enforcement to monitor the flow of criminals into the Caloundra CBD through real time alerts and smother criminal activity before crimes occur. This would essentially assist in choking the flow of criminals from the South who use Caloundra as an entry point for burglaries and crimes throughout the Sunshine Coast. Officer in Charge at Caloundra Police Station, John Mahony says that he supported the installation of CCTV in Caloundra as they are an invaluable asset for Police activity. “The proposed network of CCTV cameras to be installed within the Caloundra CBD precinct, including cameras with automatic number plate recognition capability (ANPR), have the potential to greatly assist Caloundra police in the identification and timely resolution of offences involving criminal and anti-social behaviour,” John Mahony said. “CCTV cameras are also effective as a crime deterrence strategy and create opportunities for an improved policing response to enhance community safety. This includes number plate recognition cameras attached to the traffic lights at the busy Bowman Road – Park Place intersection adjacent the Stockland Caloundra Shopping Centre and multiple devices on either side of Bulcock Street from the Seafood Market to the top end of the street at the Caloundra Hotel. 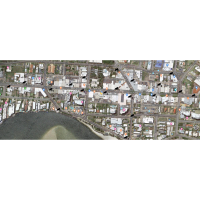 Cameras will also be placed in crime hotspots which surround popular venues Caloundra Hotel and Drift Bar, within the Lamkin Lane precinct and Minchinton Street. CCTV has been an ongoing community issue in Caloundra since 2007 when Josh Mills was punched and killed at a Caloundra cab rank after which Josh’s mother Sue Mill picked up the fight for increased security in the area. Since then the Caloundra Chamber of Commerce and various other key stakeholders have been diligently lobbying for increased safety precautions in the Caloundra area. The Chamber secured the $140,000 Federal Government ‘Safer Communities Fund’ grant after a study commissioned by the Caloundra Chamber and Sunshine Coast Council found in 2014 that only 54% of people felt safe in Caloundra's CBD. Adding to the evidence for CCTV, the Sunshine Coast Daily discovered in 2017 that Caloundra had the highest reported instances of robbery as compared to the rest of the Sunshine Coast utilising Queensland Police Crime data. Douglas Grant from CCTV Consulting Services will project manage the project over the next few months. Douglas Grant has consulted for many townships which have been awarded CCTV funding over the last few years and sees no ongoing issues that would deter installing this technology into Bulcock Street.